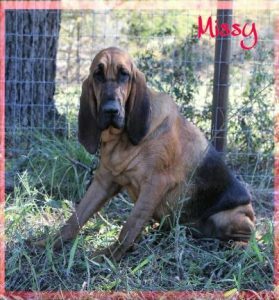 Missy comes to us from Missouri. We are thrilled to add another Rib Mountain female to our gang. She is a big, beautiful and bold girl. We are expecting some great working lines when we breed her with Dozer. This will give us Rib Mountain on both sides. She has all the qualities we look for in keeping these great lines alive and working.